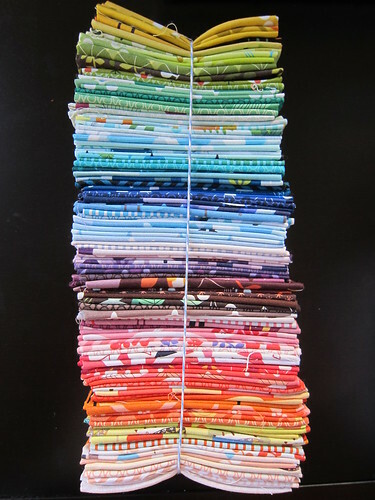 I've done a pretty good job of scaling back my fabric purchases since the great "shop the stash" resolution was passed but a big birthday meant that there were a few new things added to the craft pile. 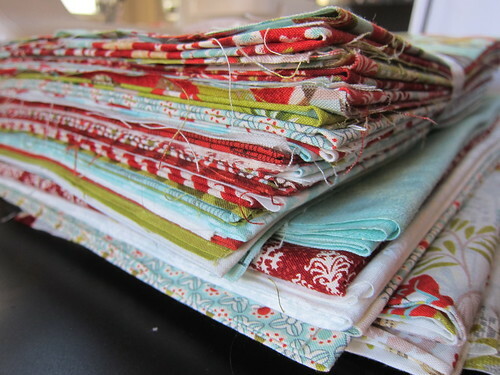 First up a delicious pile of Aspen Frost Christmas fabrics to make Vintage Holiday quilt for our couch. Then there was this irresistible Lizzy House bundle. 130 fat-eighths from many of her OOP collections. Not sure what this is going to turn into yet but it will definitely be fabulous. And then the big guns...my mister treated me to not one but two new machines. Meet my new serger and coverstitch machines!!!!! I am beyond excited. 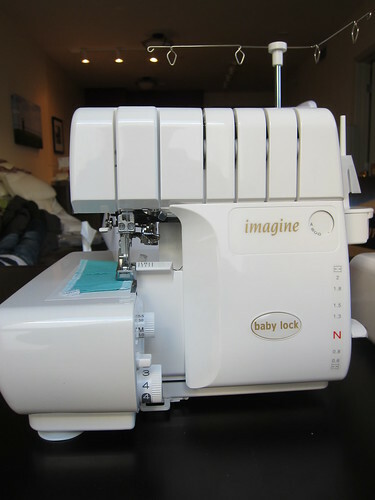 I have wanted a serger for years and years and this one basically threads itself, even better. I'll be sewing if you need me at any point during the next week. Happy Saturday!! Woah. You sure know how to celebrate a birthday! Awesomeness. Holy stack of Lizzy House! Wowzers. Nice machines too. Happy birthday! Happy Birthday! Can't wait to see what you whip up with your two new beauties! Lucky you! Happy Birthday and lucky you! Congratulations and Happy Birthday! Such a fabulous collection to add to your stash. Happy Birthday! 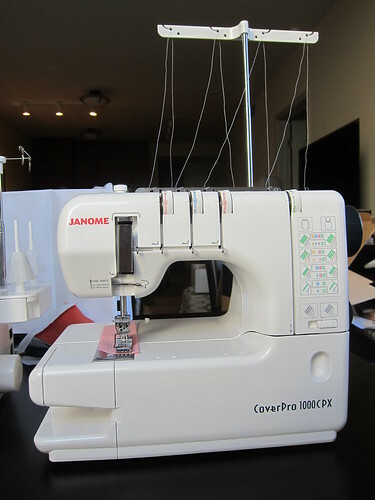 I've had my eye on the Janome Coverpro for a while too and would love to see how you like it. Happy birthday! I have a stupid question. What's the difference between a serger and a coverstitch? Thanks!